What Is Stopping Seafarer Welfare Reform? The welfare of seafarers is a big issue – and even with the advent of the Maritime Labour Convention (MLC), the burden rests on charities. What does that mean for seafarers, and if charity begins at home how can it work for people on the move? HOW DID SEAFARER WELFARE KICK OFF? There is no universal “welfare” state for seafarers – and while MLC has made great strides in bringing concepts such as wages, standards of care, and facilities together – there are still massive gaps. So how did we get to where we are today and why has no-one ever established a systematic means of measuring, monitoring and delivering care and welfare for seafarers? Well – perhaps we can learn by looking at the United Kingdom – a place which forged a national health service and welfare system. What happened, you might ask, before that was in place? The provision of welfare services is not something that started with legislation, in fact most welfare roles now carried out by the British state were long pioneered in the voluntary and charity sector which, by the 19th century, had become huge and diverse. There were charities for the relief of poverty, the treatment of the sick, the housing of the working classes, the education of poor children, the assistance of the disabled, the training of the unemployed, and so on. Writing back in 1849 the politician Sir James Stephen said, “For the diffusion of every blessing, there is a committee”. He could well have been speaking about the maritime charities sector today. Good things happen when they are rubber stamped and ratified. In the UK, when the state first intervened in education in 1870, the majority of the children were literate thanks to education at the thousands of church and charity schools. When National Insurance was introduced in 1911, more than three quarters of those covered (about nine million out of 12 million) were already being provided with health care and other benefits, including in some cases unemployment benefits, by “friendly societies”. The same pattern followed with social housing, following the 1890 Local Government Act, there were already thousands of housing societies providing decent and affordable accommodation for tens of thousands of low-income families. Long before the state accepted overall responsibility for the welfare of the nation’s children, there were charities running children’s homes, supported by nothing but charitable donations. These charities operated in a competitive environment. Their donors wanted value for money. Charities which could show impressive results would prosper, as they would attract more donations. Those with a poor track record would close. This created a pressure for innovation and good record-keeping. Which all sounds rather familiar when you look at the maritime landscape today – with the gaps in universal provision, the charities have to fight and jostle for visibility, acceptance and to raise funds to do the work they hold so dear. So today, without a formal safety net – most seafarers are provided with places to call into ashore, they are visited onboard and their emergency care is looked after when bad things happen. You only need to talk to your local Mission to find out the diverse and incredible nature of the issues which Pastors and volunteers have to get involved in. In short, the charities do an amazing job – they care about and deliver on the best interests of seafarers and their needs. So if the needs of seafarers are being catered for, is there a need for state involvement? The Maritime Labor Convention (MLC) has now placed a new focus, and indeed responsibilities on the shoulders of flag States. They need to know what is happening onboard, they need to care and they need to act. But do they? The answer is that some do, some don’t – and some are probably blind to the extent of their responsibilities. The “Open Registry” – or “Flags of Convenience” (as some prefer to call it) system can deliver benefits for business, and has streamlined vessel ownership and operations – but there would be big question marks over whether it has delivered benefits for seafarers. So there is a real danger that we are approaching a fork in the road – or an alteration point. Without clear signs of which way next – if States are meant to be stepping up and doing more, but aren’t – does that weaken the charity and volunteer sector when it comes to looking after crew welfare? Or have we reached a point at which States should be more formally funding the charity sector? Thereby creating a universal and formalised safety net. 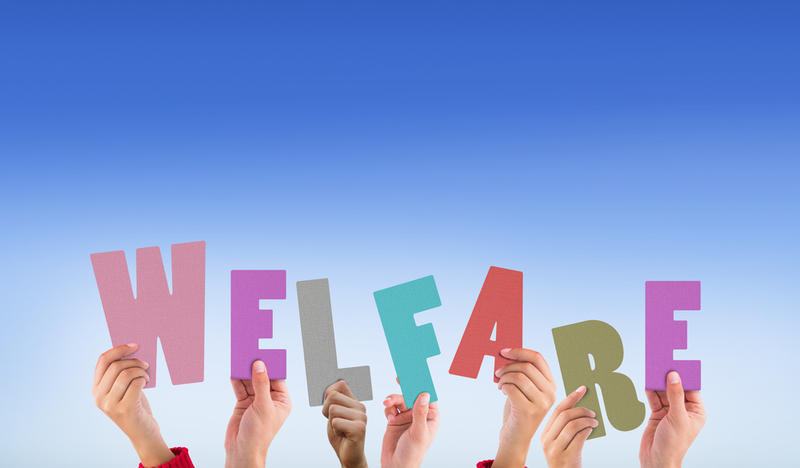 With States required to step up to new welfare responsibilities, are they ready, willing and able? Or will they need the support of the charities to help them do what is required as a flag State? A GLIMPSE OF HAPPY FUTURE? At the “Big Debate” on seafarer welfare, which was part of the London International Shipping Week, the head of Human Rights at Sea called for a real change in the way maritime charities are funded. The call was for the International Maritime Organization (IMO) to develop a universal means of funding the work of all charities in the sector. Something which received both nods of approval and vehement head shaking. Which shows how far we are from answers – but we are left with 1.4 million seafarers, on around 50,000 vessels needing support. The systems needs to be big enough to provide for them all, but clever enough to react to their actual needs. 1.4 million people is not that many people if we can harness technology to support them and enter into dialogue about their needs. So perhaps it is a combination of new thinking, new technology, but the old traditional values of caring and compassion which will help us to find the answers.